I’m a long time (old) modeler that started building back in the early 50’s. My modeling efforts eventually led me to aviation photography and that eventually led me to aviation writing. 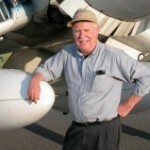 I have authored a number of IN ACTION books for Squadron/Signal Publications with a special interest in the F4U Corsair. AMT/ERTL USS Enterprise E, Nemesis movie Version, 1/1400 Scale.